Uncasville, Connecticut - Bellator MMA makes its return to Mohegan Sun Casino in Uncasville, Connecticut on Friday February 15th as part of a two night combat sports extravaganza consisting of two stacked professional fight cards. 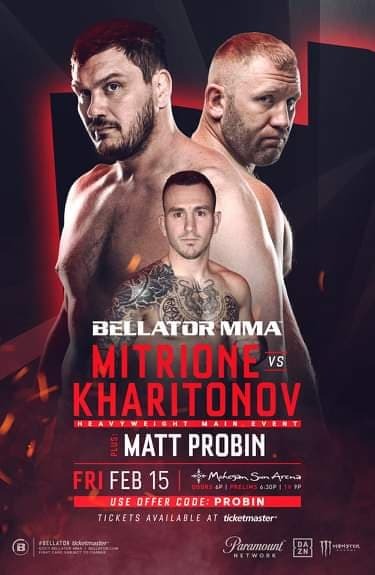 Bellator 215 will kick off the festivities Friday night with a highly anticipated fight card headlined by Heavyweights; Matt Mitrione (13-6) as he takes on Veteran slugger; Sergei Kharitonov (29-7). The Bellator promotion, as well as Prime Elite Management released a statement earlier today announcing that New England’s Featherweight Prospect; and English born Muay Thai expert; Matt Probin (3-0) has been added to the Bellator 215 line up. 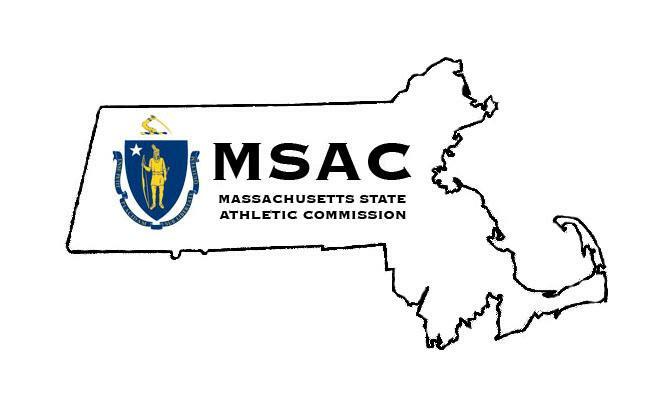 Probin who trains with Westbrook,Maine gym; Recon Fitness began his love for combat sports while serving in the British Royal (Navy) where he took an interest in Boxing. For Matt; Boxing naturally progressed into Muay Thai/ Kickboxing where he honed his skills to an elite level, upon his move to the States following his Military service, Probin became obsessed with the sport of MMA. Amassing a 6-2 record as an amateur as well as a undefeated 3-0 record as a professional, Probin has quickly made his name as one of the most feared strikers on the regional circuit. Fresh off a second round TKO stoppage of veteran Lionel Young (7-16) at NEF 36 in November, Probin is ready to showcase his skills on the global stage as he makes his Bellator debut at Bellator 215, against an opponent to be named later. I know I speak for the entire staff here at Western Mass MMA as we wish Matt the best of luck as he takes his career to new heights by signing with the Bellator Organization. Probin has entertained New England combat sports fans for years, whether in the cage or in the ring with dynamic displays of high level striking and an overwhelming Warrior mentality that is second to none. The time is now for Matt Probin, who takes the next step in his career, much like the many steps before it; with dignity and class! OSS Matt Probin.